Grand Opening Party for DKCBikes on Friday night, February 20th! The casual passerby could have easily mistaken last Tuesday as business as usual at the corner of Stone Way and 35th Ave, yet those four neon letters mark the beginning of a partnership between two of the most skilled craftsmen in the Pacific Northwest….even more, they mark the day that Fremont became bike culture epicenter of Seattle. But before that chapter is written, let’s have a little backstory. Bill Davidson has been a quiet icon of the framebuilding scene for four decades, the last three of which while a part of the venerable Elliott Bay Bicycles retail shop next to the Pike Place Market. As EBB came to a close last fall, Bill was eager to continue pursuing his lifelong passion of building bike frames for riders who appreciate quality. Instead of trying to replicate another full-spectrum bike shop, he would create a studio focused on fitting, building, and assembling custom bicycles, and he would find a location with better access for his clientele and a certain cycling ambience to the neighborhood. With him, he brought some tubing stock and frame fittings, the mechanical guts of the frameshop, and 40 years experience…and his bike mechanic/assembler from EBB. Max Kullaway started in welding titanium frames for New England’s Merlin Bicycles in the early ’90s and moved on to Seven Cycles along with other key personnel when the former was bought out. Over the years Max would weld literally thousands of titanium frames, honing his skills to perfection. Ten years ago he relocated to Seattle. His talents developed a reputation amongst the craftsmen of the area, who sought him out to augment their own production. In 2007 he founded his own brand, 333fab while providing much of Hampsten Cycles’ titanium framebuilding. Also during this period, Max became the finish welder for Davidson titanium frames at Bill’s shop; in the process the two men would gain a mutual respect for their abilities and goals within framebuilding. When they decided to launch their partnership, Max brought with him his skill as the best welder in the region and a fresh outlook on framebuilding. The 3425 Stone Way address in the Fremont neighborhood had previously been occupied by JL Racing, which sold both cycling and rowing apparel. 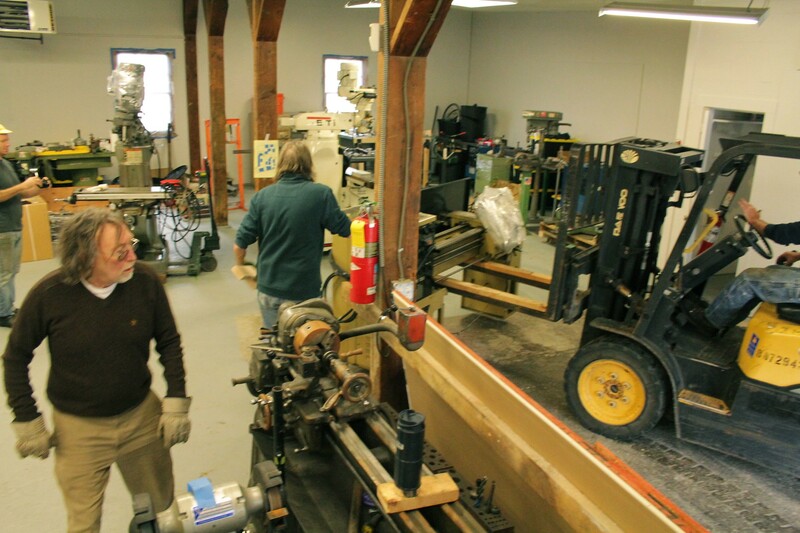 The building itself is surely 80 years old, adopting a new character as necessary to suit its tenant, but local lore is that it was built as a machine shop originally. 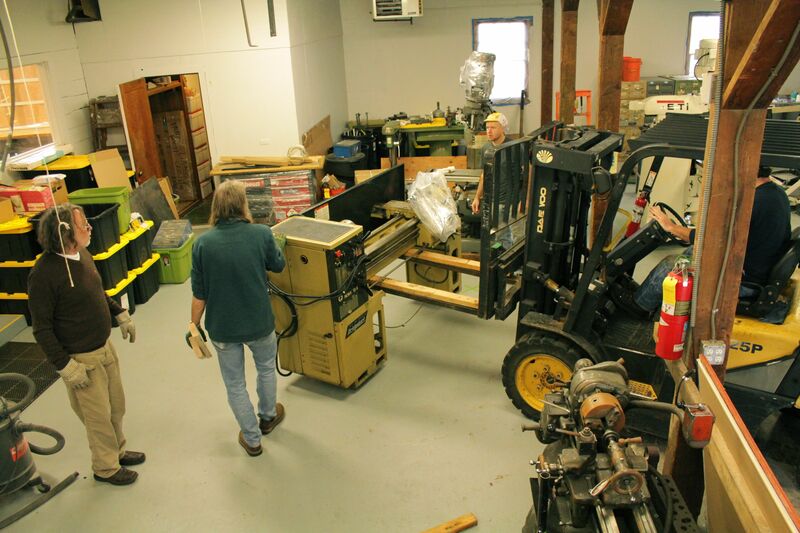 Thus the new framebuilding venture has returned the building to its roots as a house for American industry. Even as commercial and residential developments newly leap from the ground all about, Stone Way’s collection of paint, hardware, and building supply businesses reflect the culture of craftsmen that immediately appealed to Bill Davidson, but the neighborhood also permeates with cycling. The Burke-Gilman Trail, a trail crucial for both commuter traffic and recreational riders, is just one block away, and Stone Way’s wide bike lanes are the preferred north-south link between Fremont and Wallingford routes. Even though the triathlete-oriented Speedy Reedy shop moved out the area last year, four other shops catering to cyclists are either directly on Stone Way or one block off. Bill and Max’s new shop is just one door away the Fremont shop of Recycled Cycles, a full-spectrum retail bike shop. If one were to go east across Fremont Ave, two more independent bike shops, Wright Brothers and Free Range, sit either on or one block off 34th. 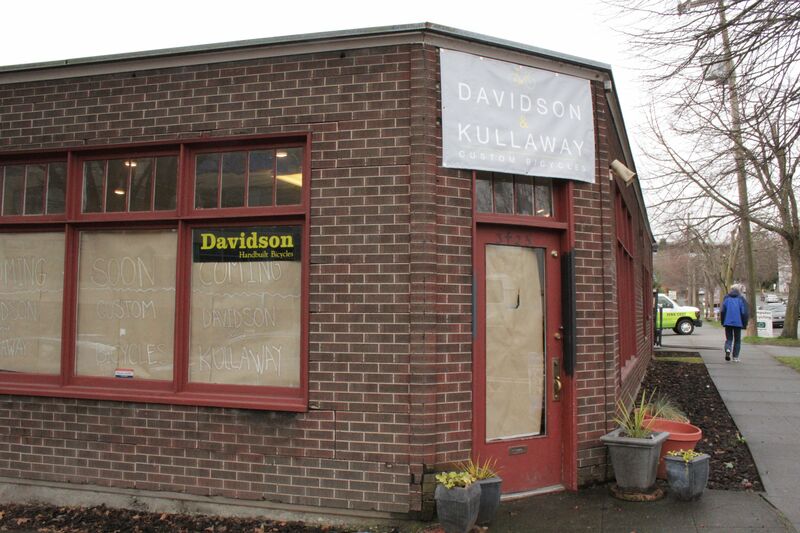 Davidson & Kullaway Custom Bicycles are now taking orders for custom bicycles. Unlike other builders who eagerly take orders that they have no hope of fulfilling within a year, Bill waited to take deposits on new orders until that sign was lit, and so far the riders have been steadily streaming in to cue up. Bill expects an 8 to 10 week delivery schedule. 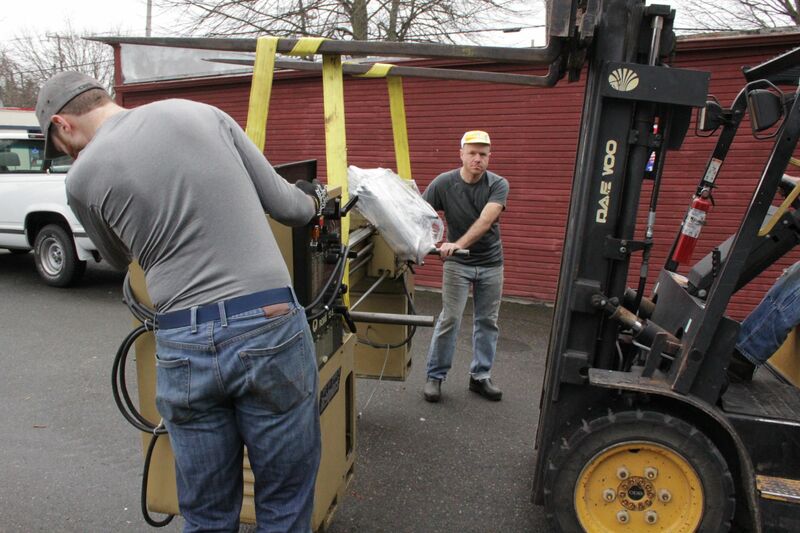 Max, who was not invested in Elliott Bay Bicycles, has just made his preparations to switch his production to the new shop; Hampsten’s titanium production will soon continue at the new shop as well. You might be wondering,”If there are two builders under one roof, each with his own brand, who decides what bike the customer gets?” The answer is the customer. Max is an accomplished cyclocross racer and maintains a close connection to many local road, CX, and mtb racers. Bill has a strong customer base in the PacNW, many of whom have purchased multiple bikes over time or for different applications. However, the customer freely chooses which of the two designs his or her custom bicycle. When you step into DKCBikes, there is a showroom with a few examples of bikes and a large window overlooking the actual frameshop. A mechanic’s station straddles the partition between the showroom and the fitting area, but the shop’s interior and the frameshop are still evolving. Better to open the doors and then let the pieces fit where they need to. It’s the same with celebrating the new beginnings: better to let the customers in and then have the party. DKCBikes will host a grand opening party on the evening of Friday, February 20th. Stop by and see what Bill and Max have created.